Get a sense of the local culture at National Palace Museum and Hsing Tian Kong. Discover out-of-the-way places like Yeh Liu Geo Park and Lanyang Museum. Change things up with these side-trips from Taipei: Yilan County (Wufengchi Waterfall, Jimi Square - Yilan Station, & more) and Xinbei (Danshuei & Chiufen (Jiufen Old Street)). 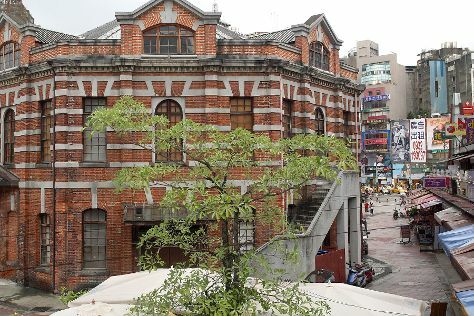 There's lots more to do: let your taste buds guide you at a local gastronomic tour, browse the different shops at Taipei 101, get a sense of history and politics at Presidential Office Building, and hunt for treasures at Raohe Street Night Market. To see reviews, ratings, and other tourist information, read our Taipei trip itinerary app . Frankfurt, Germany to Taipei is an approximately 18-hour flight. You'll lose 7 hours traveling from Frankfurt to Taipei due to the time zone difference. Traveling from Frankfurt in February, expect Taipei to be much warmer, temps between 23°C and 16°C. 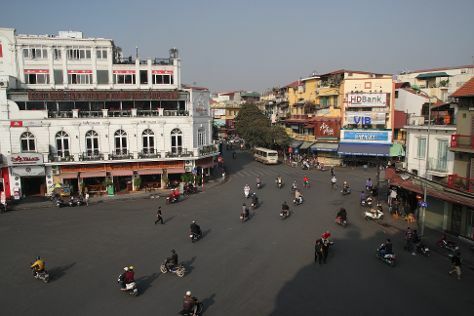 On the 28th (Wed), wrap the sightseeing up by early afternoon so you can travel to Hanoi. Popular historic sites such as Ho Chi Minh Mausoleum and Old Quarter are in your itinerary. Temple of Literature & National University and Vietnam Museum of Ethnology are good opportunities to explore the local culture. Spend the 4th (Sun) wandering through the wild on a nature and wildlife tour. Pamper yourself for a day on the 6th (Tue) at some of the top local wellness centers. There's lots more to do: steep yourself in history at Hoa Lo Prison, head off-road at local off-road trails, contemplate in the serene atmosphere at One Pillar Pagoda, and contemplate the waterfront views at West Lake. To find traveler tips, reviews, more things to do, and other tourist information, read Hanoi trip itinerary builder app . You can fly from Taipei to Hanoi in 7 hours. Alternatively, you can do a combination of car and ferry. Traveling from Taipei to Hanoi, you'll gain 1 hour due to the time zone difference. Wrap up your sightseeing by early afternoon on the 8th (Thu) to allow time for travel back home.